When it comes to leading your business, who’s running the show? Is it your ego or your principles? If you think that you’re leading by principles, think again.”Ego Free Leadership” tells one real-life story of a leader who thought he did everything right and found that his ego was doing everything wrong. Find out what he learned with executive coach Shayne Hughes so you can avoid the same mistake from ruining your leadership. 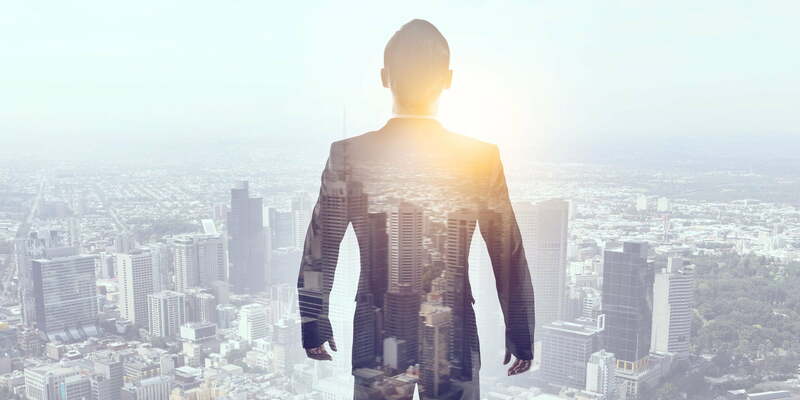 Ego Free Leadership: Ending the Unconscious Habits that Hijack Your Business involves lessons learned about ego-driven leadership as it plays out in the real world. Brandon Black, the former CEO of Encore Capital Group, Inc., thought he did everything right as a leader when he worked at Encore. Black was decisive, confident, and capable, all of the qualities he thought were required for a successful leader. Something, however, wasn’t adding up and Black’s company needed help like yesterday. Through coaching sessions with Shanye Hughes, Black started to realize his “leader’s ego” was sabotaging his own progress. What is Ego Free Leadership About? Ego Free Leadership addresses the hidden (and often unintentional) ways that our ego sabotages our path to success. We usually stereotype ego-driven leaders as loud, overbearing men or women who ignore others’ feelings in their quest for success. We don’t often associate ego-driven behavior with ourselves, which is part of the problem. This is precisely the point Black and Hughes try to impress upon readers in their book, Ego Free Leadership. We all have ego-driven behaviors triggered when something doesn’t fit our definition of the “right thing”. For example, Black encounters a situation in the book where some of his duties are taken over by another business professional hired by the board. Black assumed this means he is on the way out, so he begins plotting his path out of the company. Before Black submits his resignation, Hughes asks him to confront his assumptions and get answers instead of wasting his energy on complaining and subtle sabotage. Black does, going straight to the board and outlining his interpretation of the board’s decision to hire someone else. As it turned out, the board was not firing Black, they were just adding someone who could complement his skill set. The central lesson from this and many other anecdotes in the book is how our ego defends itself to our detriment. This defense becomes a habitual part of how we deal with the world. We continue repeating these unhealthy behaviors in a loop until we become aware of it. Once we become aware, we can take steps to save ourselves (and others) from our egos. Black is the current president of RioPop Holdings, a subsidiary of Encore Capital Group and founding partner of investment company Clover Crest Partners. He retired from his role as CEO of Encore Capital Group in 2014. In addition to his work experience, he is very active in his community, serving as a school board member and Court-Appointed Special Advocate. Hughes is the president and Lead Cultural Change Partner of Learning as Leading, the organization that assisted Black and Encore Capital Group in reaching a new level of performance. What Was Best About Ego Free Leadership? The unique approach of showcasing the thoughts of CEO-turned-student with insight from executive coach Hughes provides readers a chance to see how their ego is driving their behavior, no matter where they happen to fall on the organizational chart. The book provides real life examples of potential help to business leaders who may recognize behaviors they need to work on in order to improve their ow leadership. One area that Ego Free Leadership could have placed more attention was conflict resolution in more ambiguous situations. In the examples provided in the book, everything works out for the best. What should a person do when things aren’t as cheery? For example, the book talks about another leader, Amy, who wants to advance in the company despite the glass ceiling. There is an excellent discussion about the complicated nature of sorting out discrimination from one’s own perception of discrimination. More information about how leaders can clarify their positions on diversity (and similar ambiguous issues) would be extremely helpful. 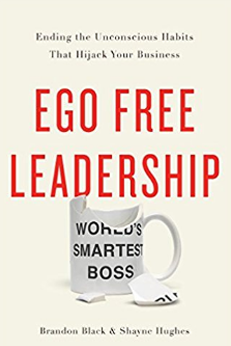 Why Read Ego Free Leadership? The short answer is, if you have an ego (and yes, you do! ), you should read this book! For leaders especially, the book provides two great real-life examples of leaders (Black and one other) who embody everything society says a leader is supposed to be: confident, bold and decisive. Yet, as Ego Free Leadership points out, there are problems with this image of the leader who has all the answers. If your ego becomes attached to this perception of the leader who is always right, you will fail to notice when things go wrong until it’s too late.